India is a country filled with diverse religious and cultural backgrounds. The entire country remains in a festive mood throughout the year to celebrate the festivals. Indians love to celebrate. You can find a festival of some sort celebrated in some part of the nation every day of the year. 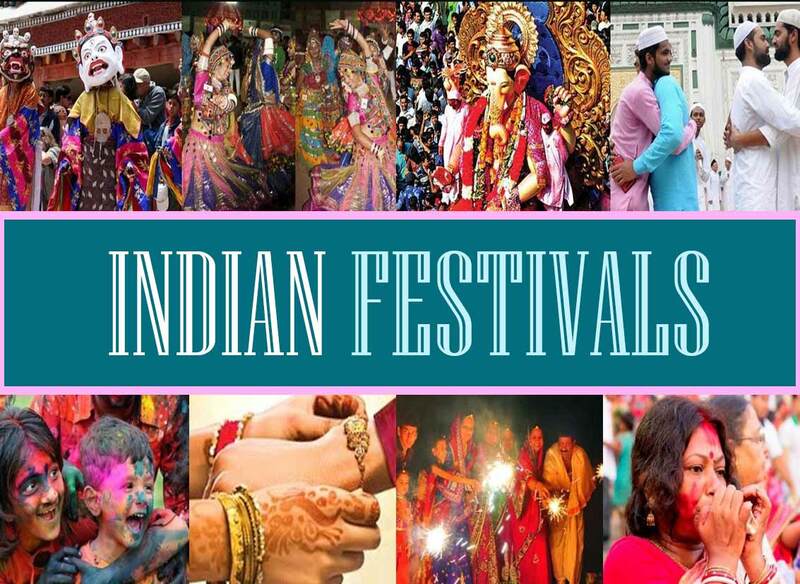 For Indians festivals are the celebration of togetherness often joining people of different traditions and religions in the spirit of mutual respect and cooperation. As we all know India's rich heritage was built over centuries which led to a huge variety in the Indians life and its festivals. These vibrant festivals are a testimony to the diverse tradition and culture of the nation. Festivals are celebrated in India irrespective of any religion or caste creating a strong bond of humanity among its inhabitants. Read to find out the best cultural and religious festivals in India, which we believe one has to experience and celebrate in India. Diwali is one of the most prominent Hindu festivals celebrated with a lot of pomp and show. Popularly known as the festival of lights, houses are decorated with clay lamps and candles and people dress up with brad new clothes and participate in pujas, share sweets and burst crackers to celebrate the festival. Holi, also known as the festival of colours is one of the famous festivals of India, celebrated with a lot of fervor across the country. On the eve of Holi, people make huge Holika bonfires and sing and dance around it. On the day of Holi, people gather in open areas and apply dry and wet colors of multiple hues to each other, with some carrying water guns and colored water filled balloons. It is a very auspicious festival for Christians. Also called as Resurrection day is celebrated in April in a celebration of Jesus Christ returning from dead. Some non-Christians celebrate it as the beginning of spring. People wear new clothes and prepare tasty and yummy dishes on this day. Easter is celebrated with great zeal at Goa and Kerala. This prominent festival is celebrated by Muslims all over the world. It is celebrated in the fasting month of Ramzan and people enjoy with delicious food, new clothes and prayer ceremonies. Onam is a harvest festival marking the homecoming of King Mahabali. The Onam Carnival, lasting for ten days, brings out the best of Kerala tradition and culture. People decorate the front of their house with intricate Pookalamm, floral Rangolis. Traditional feasts of rice with different types of curries are served on banana leaves. During this festival, people worship forms of Shakti. It is considered as the festival of dance and worship. In Gujarat, Navaratri is the time for lively Garba dance. Men and women dance around an earthen lamp on devotional music. And in Tamil Nadu, the first three days of Navaratri are dedicated to Goddess Lakshmi, the other three days to Goddess Durga and the last three days to Goddess Saraswati. Pongal is a 3-day harvest festival celebrated on the 14th of January every year. On the first day of Pongal, the house is cleaned thoroughly, and the discards are burned. Children sing and dance along to the bonfire. On Surya Pongal, South Indians prepare a sweet Pongal and thank the Sun God for the bountiful harvest. Mattu Pongal, the last day of Pongal is celebrated to pay respect to the cows. Christmas celebrates the birth of Jesus Christ and spreads the message of love, tolerance and brotherhood. People decorate Christmas trees and cribs at their homes and bring gift for family members during this festive season.